How Catastrophe Handled Carrie Fisher’s Death“We wanted to make sure we showed the world that we loved her,” says Sharon Horgan. 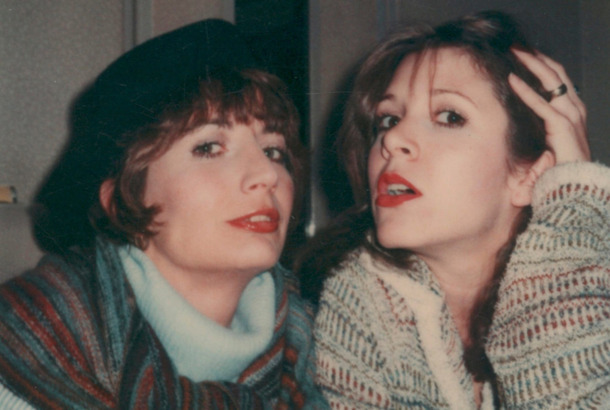 A Timeline of Carrie Fisher and Penny Marshall’s Enviable FriendshipFrom dropping acid to throwing Hollywood’s hottest birthday party. Family Guy Pays Tribute to Carrie Fisher With Her Character’s EulogyThe actress voiced Peter’s boss Angela since 2005. 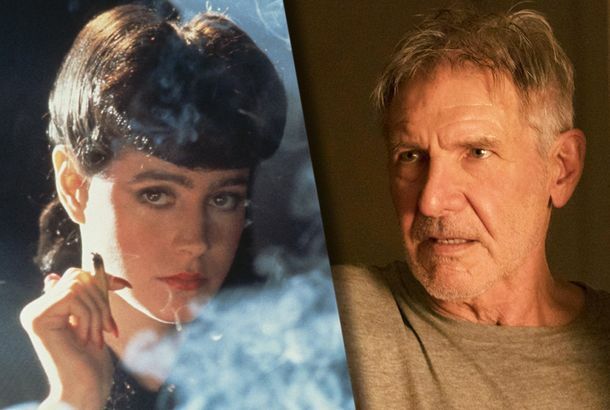 Harrison Ford Feels Carrie Fisher’s Force at Mark Hamill’s Walk of Fame CeremonyHarrison Ford had some kind words for the late icon. Carrie Fisher Is Now a Grammy WinnerShe won Best Spoken Word Album for her memoir The Princess Diarist. Mark Hamill Remembers Carrie Fisher With Iconography Fit for a QueenThis is a deity we could get behind. 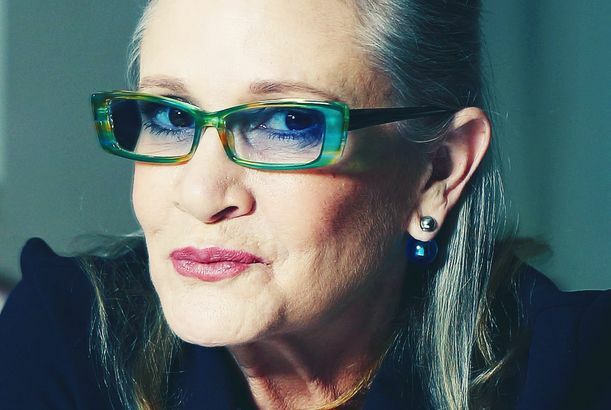 Feign Surprise When We Say Carrie Fisher Wrote The Last Jedi’s Funniest LinesNow, which ones were they? 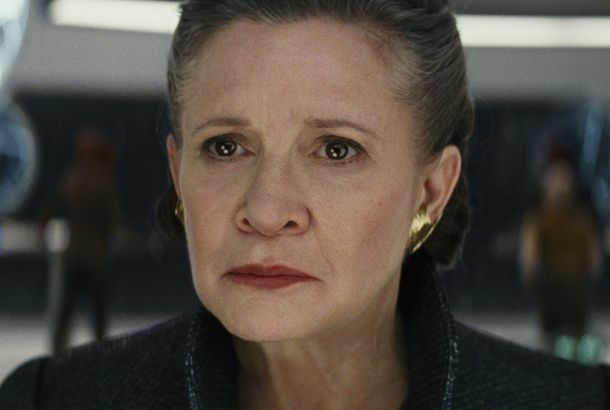 How The Last Jedi Handles Carrie Fisher’s DeathOne scene in particular plays very differently after the actress’s passing. Critics Call The Last Jedi the Best Star Wars Movie Since Empire Strikes BackEarly reviews of the latest Star Wars installment have been overwhelmingly positive. Revisiting Carrie Fisher’s Best Interview MomentsFisher, a notable absence on the Star Wars: The Last Jedi press tour, always knew exactly what to say. Gary Fisher (Yes, Carrie’s Bulldog) Makes a Cameo in Star Wars: The Last JediA fan spotted the unrecognizable French bulldog in a production still. Carrie Fisher Gave a Cow Tongue to a Producer Who Sexually Assaulted Her FriendR.I.P., Carrie Fisher. What to Buy From the Carrie Fisher and Debbie Reynolds AuctionThe treasures of Carrie Fisher and Debbie Reynolds are going for pretty reasonable prices. Oscar Isaac Was Carrie Fisher’s Waltz Partner on Star Wars: The Last Jedi SetThey’d dance through rebel bases and alien planets. Carrie Fisher Got a Posthumous Emmy Nomination for CatastropheIt’s the late actress’s third Emmy nomination. Carrie Fisher Had Heroin, Cocaine in Her System When She DiedIt’s not clear what role, if any, the illicit substances played in her death. Oscar Isaac Fondly Recalls Being Slapped by Carrie Fisher on The Last Jedi SetThe 27th time’s the charm. An Ode to Carrie Fisher’s Perfect Catastrophe Swan SongThe season-three finale marks Fisher’s last turn as Mia, and serves as a fitting tribute to the actress who played her. Carrie Fisher Will Not Appear in Star Wars: Episode IXLucasfilm president Kathleen Kennedy corrects remarks made previously by Fisher’s brother, Todd. If You Need a Good Afternoon Cry, Star Wars Made a Perfect Carrie Fisher TributeWe love her, she knows. How You Can Watch Debbie Reynolds and Carrie Fisher’s Public Memorial ServiceMark your calendars for Saturday afternoon. Star Wars: The Last Jedi Won’t Change at All Because of Carrie Fisher’s DeathThe movie won’t reflect her passing. Hear Sean Lennon and Willow Smith Sing a Duet Co-Written by Carrie FisherCarrie and Sean were longtime friends. Carrie Fisher Once Guarded Guest James Blunt’s Room With a Princess Leia CutoutWhat a woman. Catastrophe Will Be Back to Bring Us More Carrie Fisher Before You Know ItMark your calendars for April 28. A Public Memorial for Debbie Reynolds and Carrie Fisher Is Coming SoonAll are welcome! Protesters Channel Princess Leia, Carrie Fisher at Women’s MarchTaking cues from a rebel icon. 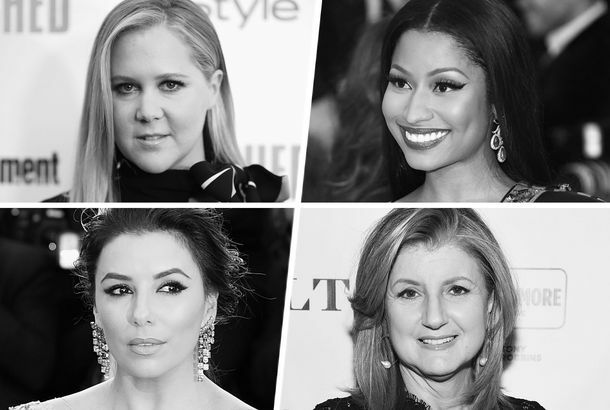 Tina Fey Honors Carrie Fisher With Saturday Night Live CameoShe also got a dig in at Trump. ‘No Plans’ to Digitally Re-create Carrie Fisher Despite rumors to the contrary.